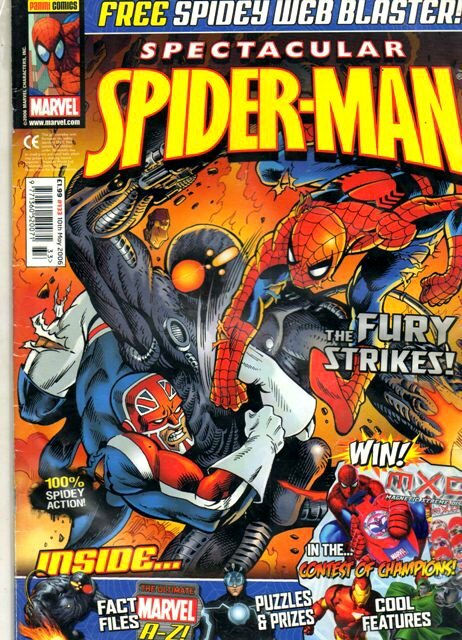 Click Here To See Spectacular Spider-Man #133 Comic Book! 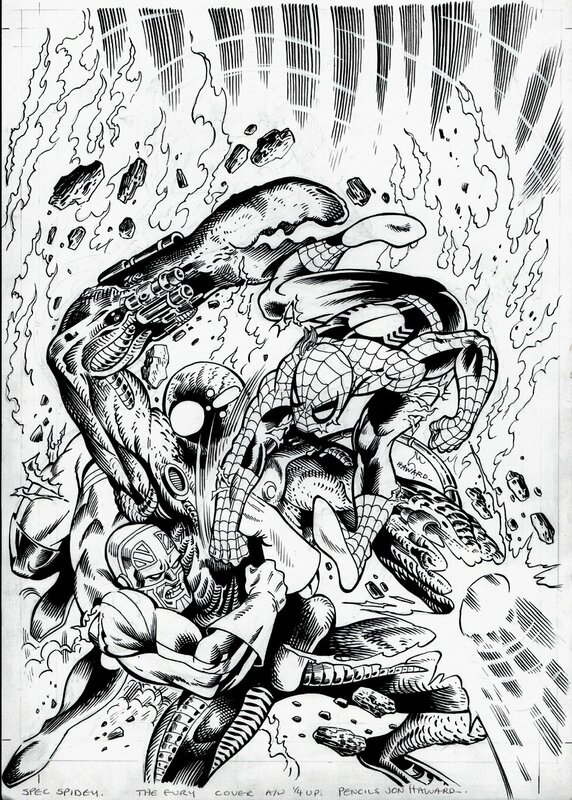 Check out this very nice cover, which was penciled by Jon Haward, and inked by John Stokes, from the story titled: "To Fight the Fury!" Spider-Man is summoned by Merlyn to aid Captain Britain in battling the The Fury, but in the end the cybiote proves unstoppable. In order to save Earth from it, Merlyn transports both the creature and Captain Britain to an unpopulated dimension, hoping that the Captain will one day find his way home! Just a great cover! Compare this nice cover art to the published comic book in the red link above! ALL art on our website (including this one) are able to be purchased with VERY fair time payments, and trades are always considered towards "ANY" art on our website! Just send us an email to mikeburkey@aol.com and we can try to work something out.